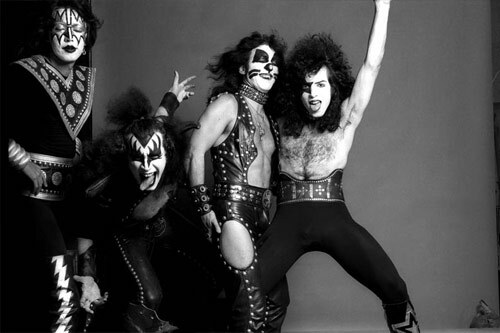 Kiss 1974. . Wallpaper and background images in the Kiss club tagged: kiss paul gene ace peter. This Kiss photo might contain justaucorps, unitard, maillot de corps, costume de chat, leotard, costume de corps, combinaison de chat, corps costume, maillot de bain, maillots de bain, en costume de bain, hip boot, and thigh boot.